With 19 manufacturing sites and four technology centers in 13 countries, Reichhold is one of the world's largest suppliers of unsaturated polyester resins for composites and a leading supplier of coating resins for a wide variety of markets and applications. Reichhold is committed to being the preferred and responsible supplier of both conventional and specialty products to an increasingly diverse group of global customers. To serve these customers, Reichhold has expanded into rapidly growing markets such as India and China. Reichhold is dedicated to providing its customers innovative and high quality value-added products and services. Under such well known brand names as POLYLITE®, HYDREX®, DION®, and NORPOL®, the company offers a complete line of resin products, gelcoats, and bonding pastes for a wide variety of composites end use applications. Four state-of-the-art technology centers support the development of new materials for both advanced and conventional composite applications. The company is committed to developing new resin systems based on renewable, recyclable, and environmentally friendly materials, and it markets these under the ENVIROLITE® brand. 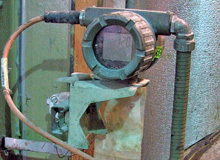 Reichhold began using Yokogawa's Micro-XL distributed control systems at its emulsion and polyester plants in 1993 and experienced no major problems while they were in operation. When the end of support was declared for Micro-XL and its batch recipe package, Reichhold chose to upgrade to Yokogawa's CENTUM CS 3000 production control system and CS Batch package. The installation was a success and both remain in use today. More than 200 main recipes and 50 blending recipes are used in eight reactors and blending tanks at the Morris plant, and reaction times vary from eight to 28 hours. In addition to preventing contamination, it is important to maintain efficient production operations by optimizing the utilization of resource cycle times and minimizing downtime. 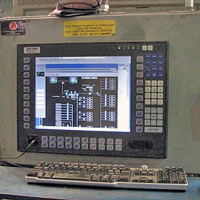 Yokogawa's CS Batch package supports the complex batch operations at this plant. The CS Batch package includes flexible and scalable batch management software for centralized recipe/process management and distributed unit supervision. CS Batch is used to automate a wide range of Reichhold's batch processes and multi-product/multipath processes, thereby demonstrating ease of use, outstanding reliability, and sophisticated functionality. Using the CS Batch package, Reichhold has reduced lifecycle engineering costs,shortened time to market, improved plant performance, and kept unexpected control failures to a minimum. A large amount of operational data that is vital for making business decisions on productivity, quality,and safety was transferred from the CENTUM CS 3000 to an existing PI data historian system via an OPC interface. Reichhold analyzes this data to identify improvements that can be made to operations. Reichhold is always striving to apply new technologies that minimize maintenance costs and make maintenance more proactive. Nearly 300 FOUNDATION fieldbus-enabled devices are utilized in the Morris plant. Data such as temperature, pressure, and flow rate from individual transmitters can be monitored at the same time and easily assigned to different instrument blocks, with minimal engineering. In addition to reducing wiring costs, this makes it possible for process engineers to analyze a process in real time. 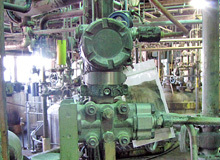 An Actuator Sensor Interface (AS-i) system is used in this plant to connect more than 700 valves,achieving a major reduction in wiring costs. AS-i offers many of the benefits of more complex and costly bus systems, but at a substantially lower cost, and with greater simplicity. All FOUNDATION fieldbus devices can be monitored from the engineering room using the Plant Resource Manager (PRM) asset management software package. Using this package, process engineers can immediately find out the status of every field device without having to do an onsite inspection. An engineer is able to identify what went wrong, pinpoint the failure location, and identify suspect parameters from the comfort of an office desk. 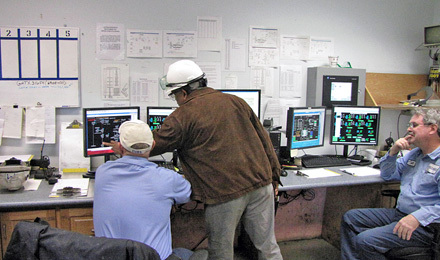 A plant maintenance technician can then schedule a check of the problem devices. In this way, PRM introduces an entirely new approach to field device maintenance. 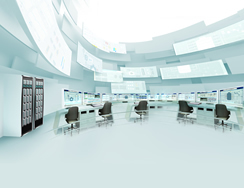 CENTUM's virtual terminal server (VTS) is a very useful function provided by Yokogawa. With it,engineers and operators can view the current status of an operation from any location. When a key Morris engineer was in India to support the start-up of a Reichhold plant, he used this function to monitor the operation at the US Morris plant in real time, and was able to troubleshoot problems using a voice link with the operators there. 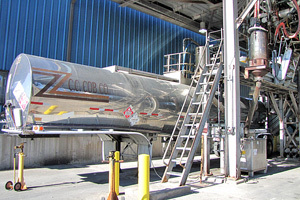 Subsystems such as the raw material weighing system, safety shutdown system, and product shipping system at the plant locations including the truck loading station and drumming area are all integrated with the CENTUM CS 3000 production control system, allowing operators to clearly see at a glance on graphical displays what is happening throughout the plant and take immediate corrective action when necessary. All process data and production related data is transferred to the PI system. The information collected by the PI data historian is utilized to improve quality, safety, and production efficiency. Roja Challa, Process Control System Support Adviser, stated, " We are very happy using the Yokogawa system and products. We are manufacturing various kinds of resin products with different formulas and are doing this on time and on specification." He went on to say, " Reichhold has now standardized all of its process control systems in the US with Yokogawa's CENTUM system because of its high reliability. Yokogawa hardware is very reliable. The availability of more than 99.99% is really amazing."